Allyson Reynolds wrote a great post on Power of Moms last week called "Reality Check." She wrote about how summer doesn't always turn out as planned. Our children aren't necessarily as excited as we wish they would be about progressing, cleaning, and being helpful. This summer has been wonderful in so many ways, and for the most part, our schedule and routine has been great, but not a single day has gone exactly as planned. The piano is covered with music books. Throw pillows have actually been thrown. 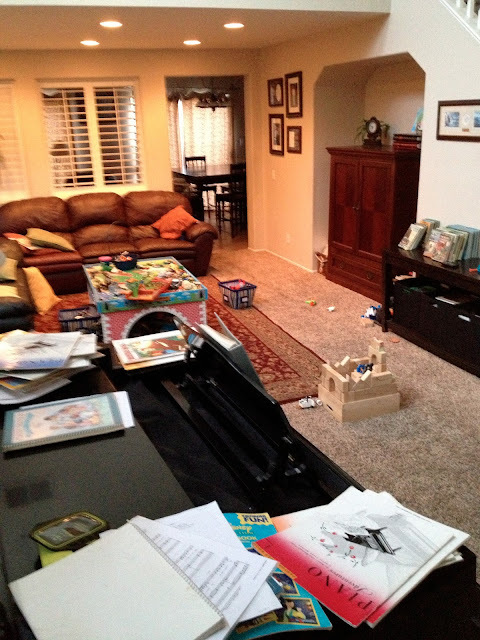 And block towers, Hot Wheels, and Legos are all over the place (especially in the area hidden behind the piano). I do love this time with our children. It's noisy, messy, fun, and beautiful, but sometimes I just want everyone to FREEZE FOR 24 HOURS so I can catch my breath. 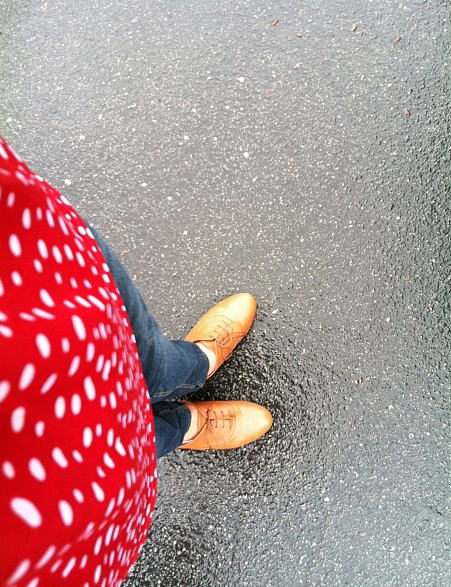 Yesterday there was a surprise rainstorm. For about five minutes, it absolutely poured. I was in the laundry room when I heard the pitter-patter of the raindrops, and I heard Alia call from the front porch, "Mom! Come outside! It's raining!" I really wanted to finish cleaning the kitchen, but I knew this was one of those moments I wouldn't want to miss, so I went outside and stood in the rain with all of my children and my husband, who had just returned from a run. but after a few minutes I wanted to go inside. And then I was upset that the other children had run outside with bare feet, and when I put a towel by the front door, they didn't dry their feet very well, and there were leaves all over the rug I had just vacuumed, and I started to get a little testy. Alia impersonated me for a moment: "You better not enjoy that rainstorm, kids! We've got to keep this house clean! Come on, there are leaves everywhere! No more having fun! Clean! Clean! Clean!" I smiled. She was right, but I was tired. It had been a long day, and sometimes it's hard to move in circles doing the same thing while everything continues to get "undone." So that's my little reality check. Motherhood is great. Life is great. I just need a long nap. Q&A: What if You Don't Like Your Child?